Good morning! Glad you are with us this Saturday! Hopefully you are sitting in the sunshine and enjoying a warm beverage! We are a little over halfway through Lent – hold on just a little longer! We would like Cause of Our Joy this week to focus on the Sacrament of Confession — especially with the Gospel this Sunday on the Prodigal Son. Lent is the perfect time to go to confession. Admittedly, it’s not an easy sacrament to avail yourself of: there’s the struggle of finding a church with available times, waiting in lines, taking time away from your busy schedule. And, of course, there’s the conundrum of what to confess and how specific you need to be. Have you experienced any of this? Have you let the inconvenience of confession or your uncertainty of what to do stop you from going? Maybe shame has held you back. Or perhaps you don’t see the point of telling a priest – why can’t you just tell God that you’re sorry? If so, you’re not alone! Our goal this Saturday is to answer some of these questions and encourage you to approach the Father’s love and mercy. Confession, penance, reconciliation. It goes by a few different names but it’s all the same and the goal is simple: get those sins off! FOCUS has a nice article called “The Confession FAQ You’ve Always Wanted” and it does a great job answering some of those basic questions about confession. Maybe you’re bothered by having to confess to a priest. If this part of going to confession seems strange to you or has you hesitant, then check out this piece by Aleteia that answers that very question. Also, check out this Catholic Answers page that gives evidence that the early Church practiced confession to a priest. Why Should You Go to Confession this Lent? As we mentioned above, Lent is a great time to go to confession. Fr. Bill Casey wrote this great article for Catholic Exchange that may help give you the motivation that you need. Lastly, preparing for confession is key! Some of us like to write down the things we want to confess. Some of us even use an app on our smartphone to help us keep track and remember what to confess. Either way, doing an examination of conscience is essential. The Fathers of Mercy have a wonderful examination that we use all the time. There is also an examination of conscience for children as well. Check it out! If you have a child who will make his or her First Reconciliation this year, here is a good resource. Also, there are some links to other ideas in this post for teaching children about this Sacrament. This past week marked three years since Mother Angelica passed into her eternal reward. We miss her dearly, but she has left us with many gems. This prayer for strength during hard times might be especially useful to some of you. It’s beautiful. YouTube can be a rabbit hole that’s easy to disappear into. You can learn just about anything and the viewing possibilities are endless (for good or for ill!) 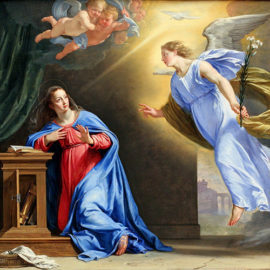 We found this video from Word on Fire in which Bishop Robert Barron discusses Marian dogma and why the Church believes what it does about the Blessed Mother. It’s a great, easy-to-understand resource for those who have a few questions about Mary. We both follow “Catholic Sprouts,” a mom blogger who is working hard to raise her kids in the Faith. She has a sweet, simple project for making a Lenten rosary pouch with her kids and we love it! On Friday, April 5, we celebrate St. Vincent Ferrer who was a great yet humble saint during his lifetime. 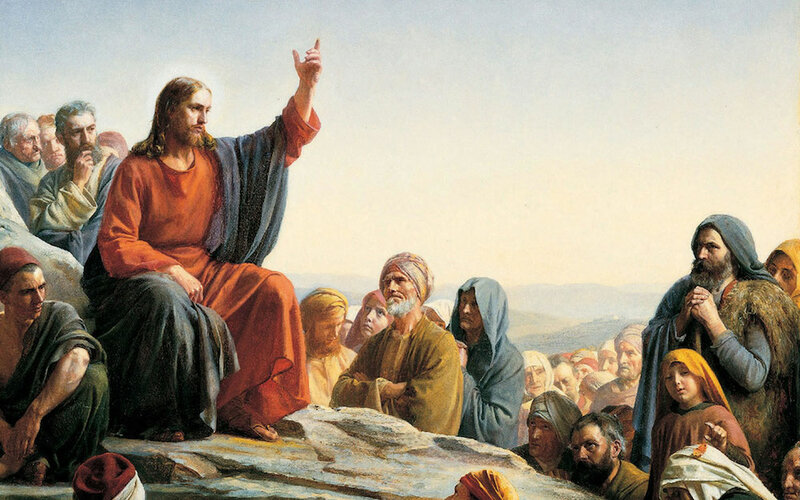 When St. Vincent preached, although he only spoke Latin and Spanish, all people could understand him.Catholic Exchange has a great article pointing out why his life is so pertinent today. The fourth Sunday of Lent, is called Laetare Sunday. Laetare is Latin for “Rejoice.” This Sunday is set apart from other Sundays during Lent- the priest wears rose-colored vestments instead of violet and flowers may adorn the altar area. Traditionally, people have celebrated on this Sunday, as the austerity of Lent is lessened and the hope of Easter is in sight. Here is a fun idea for celebrating with the kids, or anyone who likes ice cream: Laetare Sundaes. This Sunday’s readings are a wonderful tie-in to confession. If you would like to read and meditate on them before tomorrow, you can find the Readings here. Because it is Laetare Sunday, it is a perfect time to be reconciled with the Father, to know His deep, strong, and tender love for us. This reflection from Dr. Scott Hahn is a wonderful (short!) 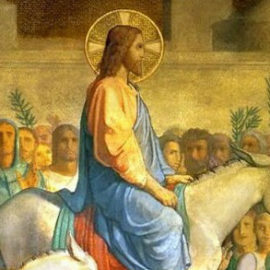 addition to your Sunday Mass preparation which connects the Readings and the Gospel. 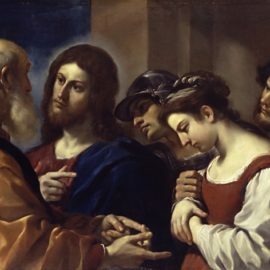 In this Sunday’s Gospel, we hear the parable of the Prodigal Son. This article presents an in-depth take on the story not only to encourage our loved ones to come home, but to do so without watering down the truths of the Faith. P.S. Our Lady of Guadalupe Moms’ Rosary Group starts up again in April! We meet on Tuesdays from 10 am to noon to pray together and enjoy each other’s company while the kids play! See you April 2nd!